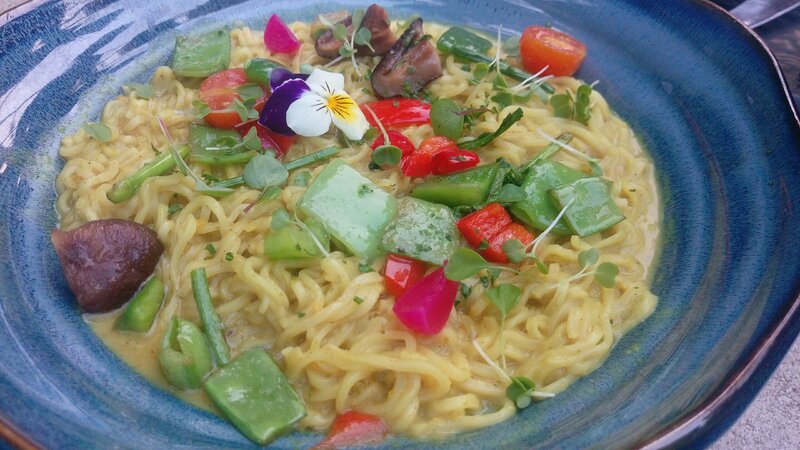 Farzi cafe is all about fusion food and lots of experiments with food. 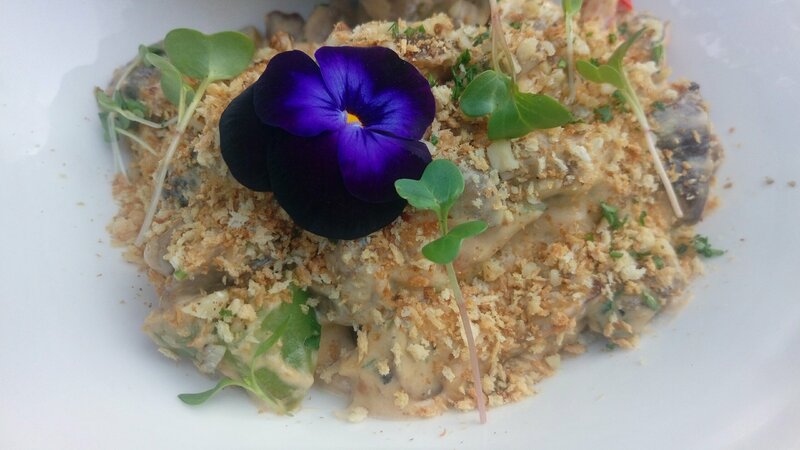 A presentation that’s a treat to your eyes and detailed description about the ingredients , their sourcing and nomenclature of a dish while being served is more than just music for your ears. 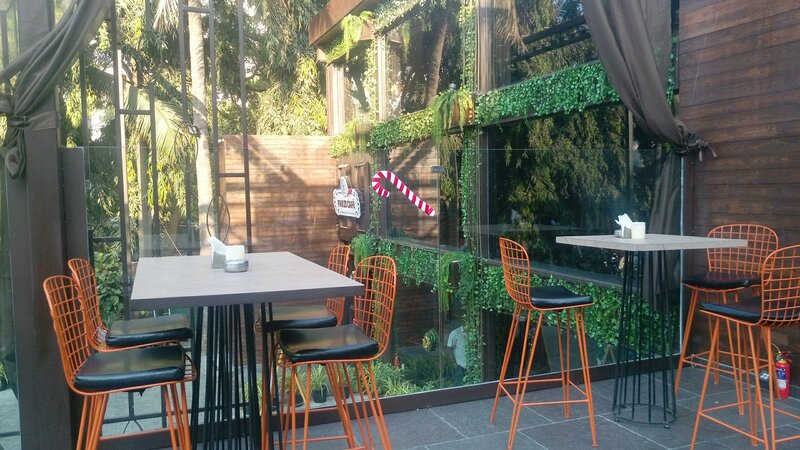 This one at Jubilee Hills is one of the largest Farzi cafe so far with a dedicated parking of its own. Designed to woo-hoo you as you enter the cafe. 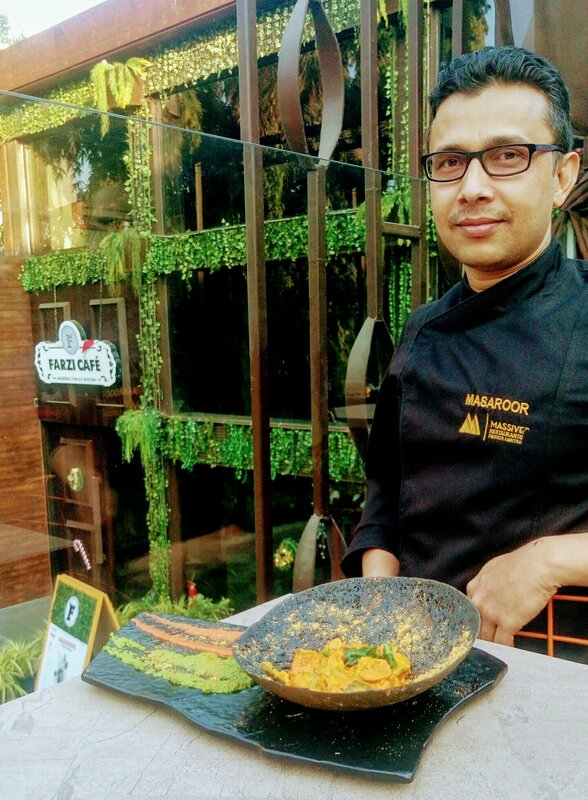 What’s a Dinning experience at Farzi cafe ? Every Farzi cafe has something in common and that’s what they call as the Farzi experience where these are 3 things they serve to everyone. 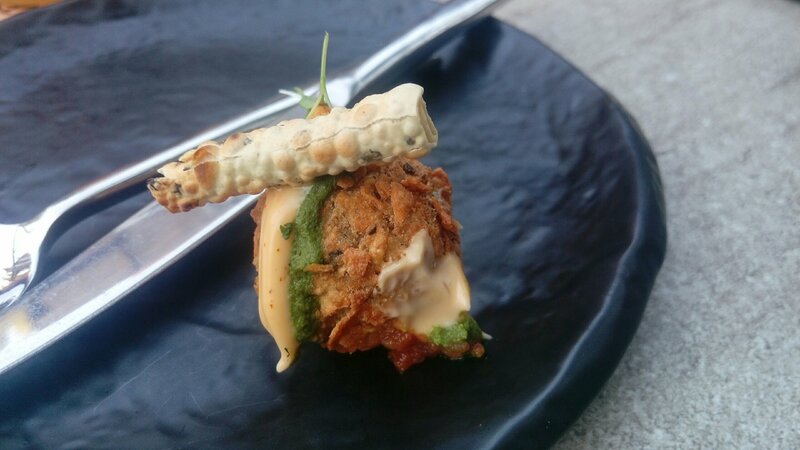 Amuse boosh ( I might have mis spelled this ) : This is served to every Farzi customer before starting the meal. 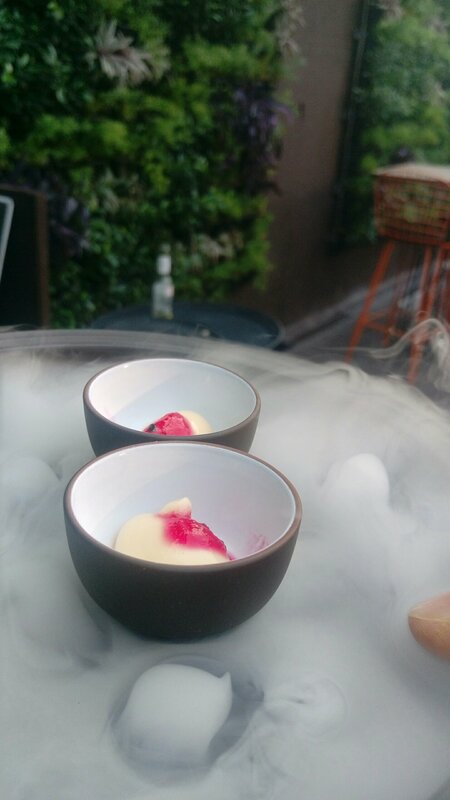 And it’s a shot that is being serves in the fuming bed with liquid nitrogen to create the molecular Drama around the dining experience that you are about to get on to. It’s again a fusion of Misty Dohi and strawberry in our case. So why this is served. Well they say it stimulates your appetite and they love to treat people with loads of good food. And this is their way of doing it. Sorbet: This is served once you are done with your starters. So this one is basically a Hajmola flavored frozen candy made with Dahi and you should not bite into it. They advice you to lick it and have it. Basically it’s a palate cleanser and it prepares you for the main Food. So that you don’t mix taste and flavors of starters and main course because they don’t. 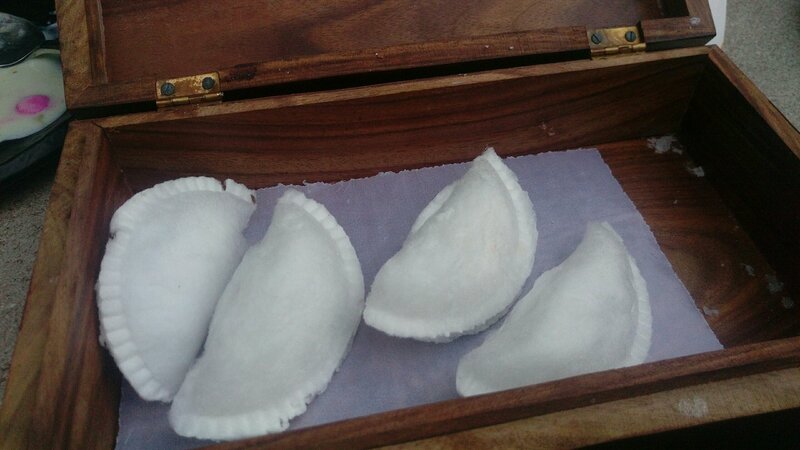 Pan Cotton candy : This is a in house production of Gujiya shaped Cotton candy that is stuffed with dry Pan. Like a sweet beginning this one ensures a sweet end whether you ordered Desserts or not. And let me caution you here they don’t miss to have at least 1 dessert here. Every dessert is a great fusion. 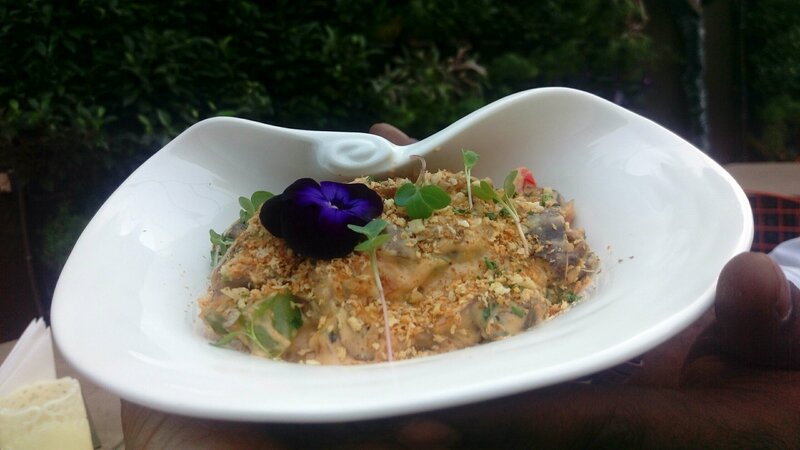 As you already know about all the stuff that you are entitled of at a Farzi cafe, let me take you through my food journey at this Outlet. Dal Chawal Arancini : As the name may sound it’s not as basic as Dal Chawal. It gets it origin from the cheese balls made of rice and Italian cheese. Arancini are stuffed rice balls which are coated with bread crumbs and then deep fried. 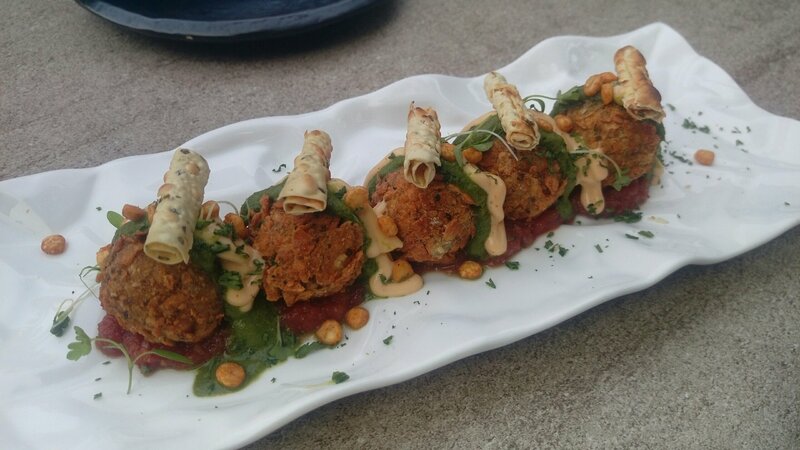 At Farzi these are more crispier, coated with roasted papad and lots of sauces while plating makes them look truly beautiful. Asparagus & water chestnuts Khurma fresh Coconut Appam : Have you ever seen a tanned Appam,may be a black color Appam. While this dish was served as Appam on the table adjoining us I thought I might have heard it wrong. But that black thing that has got the yellow curry is basically not a dish but a the dish itself. Coconut ash is mixed to Appam to impart that dark color and is a Ayurveda and this is good for health. 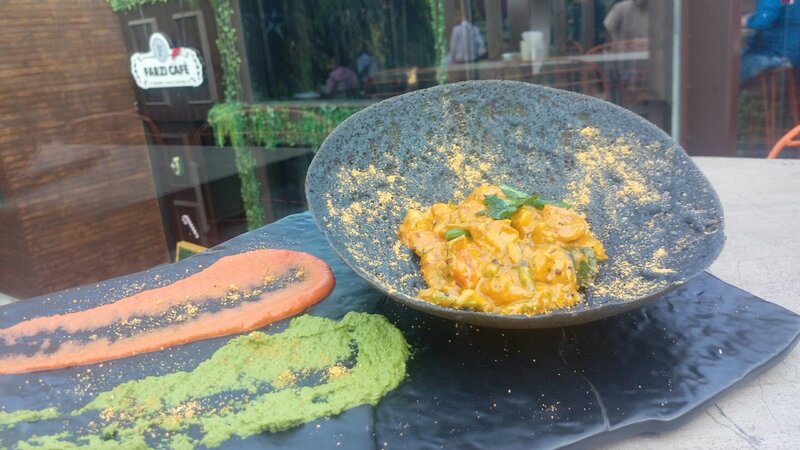 The Curry has coconut milk, asparagus and water chestnut to create an amazing filling sprinkled with gun powder and served with 2 different Chutneys. Herb Crusted Tandoori Paneer Tikka San Marzano Makhani : You can’t say what’s in a name here , as at Farzi it’s all in the name. This one is a main course dish made of Paneer that is layered and comes with Very rich Makhani gravy and off course its Farzi so they Ll definitely Add a lot of Drama, the gravy in this is added infront of you and it’s a great watch. Served with a Lachha parantha it’s great on Taste. 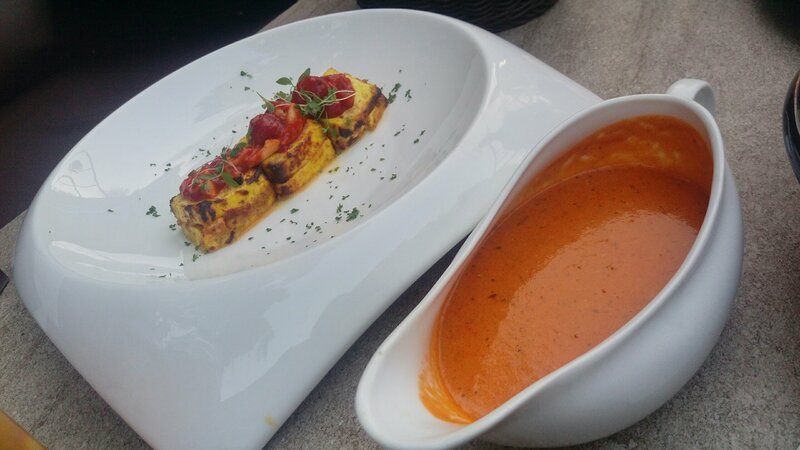 Herb Crusted Tandoori Paneer Tikka San Marzano Makhani @farzicafe is one of the best pick for the Paneer lovers. Everything here deserve more than just the praises. We tried our hands on desserts, I am sure their Appetite Simulator has worked on us. 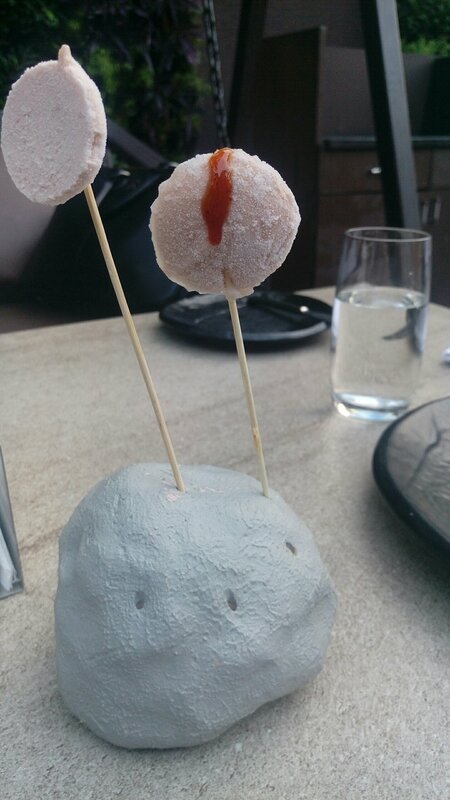 And both these desserts were unique and truly delicious. 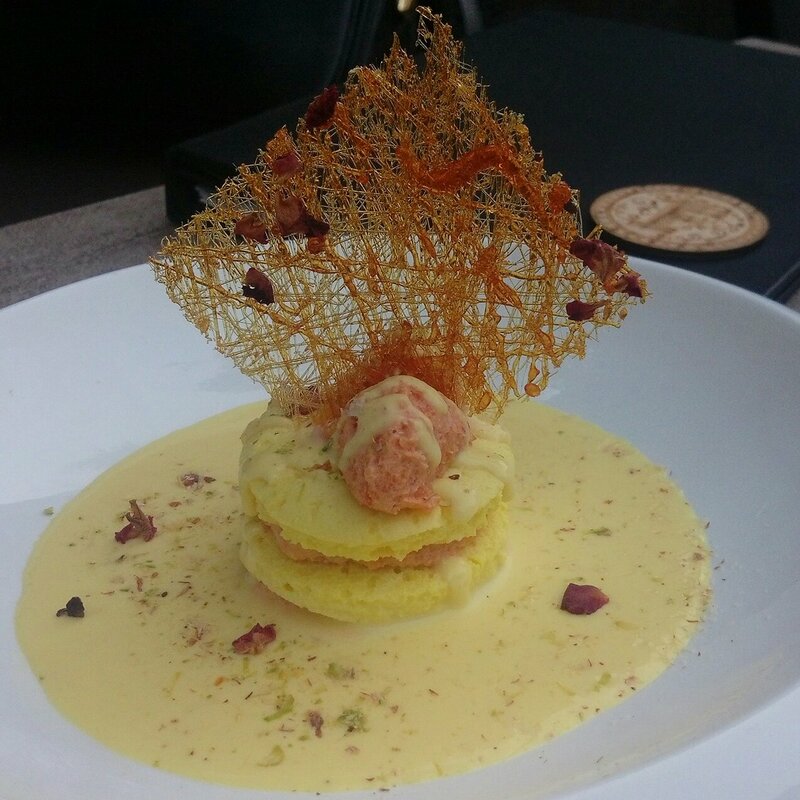 Ras Malai Tres leches : If you think Rasmalai is always had with the kesar milk it is served with. Then you need to have a look at this dessert at Farzi. A dessert that is a perfect blend of 2 of my favorite desserts – Ras Malai and Gajar halwa is outstanding on its presentation. Parke G Cheese cake : if ever I happen to bring my kids to a Farzi I know for sure what’s going to be my order. And this is for all parents. 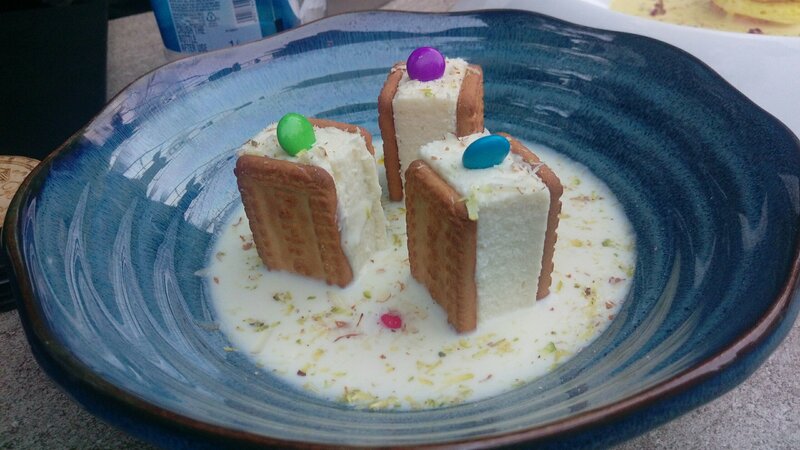 Parke G biscuits in a sandwich of Cheese cake with Gems on top adding colors and milk Rabdi adding the much needed dip me and have it base. Word of Caution – Don’t order more than 1 dessert for yourself. In one go you can’t have 2 desserts after a meal.